25 June 2015 by . Today I would like to bless you solemnly with the blessing that God allows me for my children. You have offered yourselves to me and I thank you for this. We have a lot of work to do together. Please know, children, that in all my apparitions, even in the most unknown, I had only one purpose: to form a new people. The new people are the people that embrace the whole universe. I wanted, and I still want, to gather under my coat all the children of God spread throughout the universe, because you are all brothers and sisters in the universe, and my maternal Heart ardently desires that all the children are gathered around their Father. I feel all the maternal solicitude that pushes me to search also for the last among my children and bring him back to life. This is the truth within every apparition, and it is for this reason that I wanted to reveal the existence of life in the universe. 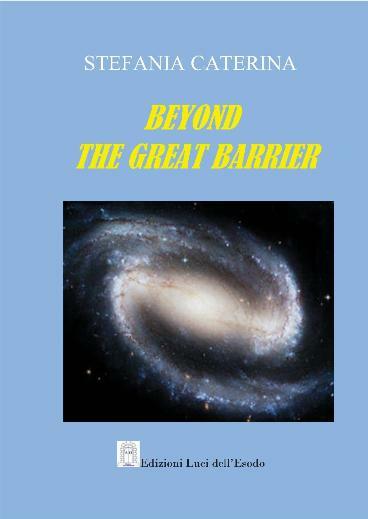 I did not intend to speak about aliens, nor about something new and mysterious, but about the reality as it is in God: the reality of one single Father and His children; one Shepherd, my Son, Jesus Christ, and one single flock in the whole universe. Now the times are ripe for you to understand this, also because Lucifer is working hard. He wants to reveal the existence of his children in the low universe, who do not want to live in communion with anyone, let alone with you. Therefore, this is the time in which the truth that I have given to you in my apparitions must continue to be alive within my children. I will repeat what I have already said: the apparitions of Medjugorje are the last ones on Earth; afterwards my work will continue through each one of you if you are faithful to God and me. This is a solemn day, an important day for you! 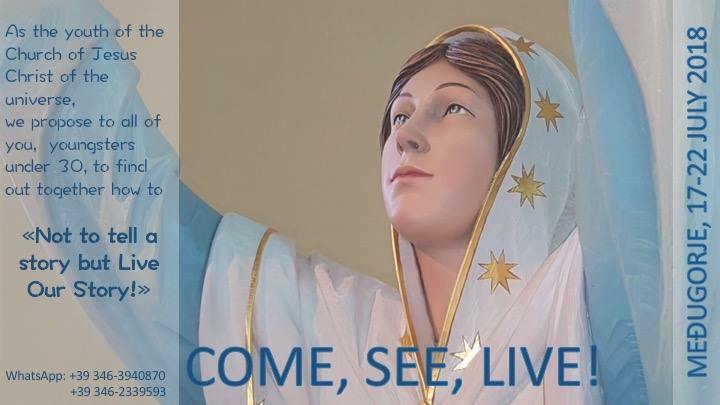 I ask you to always celebrate it in your homes and among you as the day of your spiritual birth because through my coming to Medjugorje I have called you one by one, according to the will of God, to form my people out of you. A people that seems very small and is often despised on Earth, unfortunately even within the Church; yet, it is precious to the eyes of God and to my eyes, and it is precious to my Heart. I do not exclude anyone. Therefore, children, even if you feel little, inadequate, insecure, do not fear! I am beside each one of you, and I support you; I love you, and I guide you there where the Lord wants, because I have no other desire than to do the will of my Son and my God. I bless you and I ask you to remain faithful to me all the time and in every trial. I appeal to you to offer your life with purity. The offering of yourselves to God through me is the only way you have to change the fate of this humanity. What you do for God is good for God and for me, and all your initiatives are good; however, remember children, that the most important thing is the offering of your life. All the best initiatives come out of that; from that point your own life begins. Therefore, consider all you do as something additional, that is, the fruit of your offered life. The first great and powerful action is that of offering yourselves to God through me. Offer all your joys and your sufferings and all your existence. Do it mainly during the Eucharist. When you participate in this way to the Holy Mass, you complete the afflictions of my Son by joining your sufferings to His (Col 1:24). This is how the people of God are formed and out of it a power emanates that moves the universe and constantly feeds the Trinitarian vortex. Your sincere participation to the sacrifice of my Son is the pearl of this Earth, the true treasure of your humanity. I bless you all, your families, your homes, your work, all you are and all you do. Remain united and faithful to God and to me.